It's Friday and sunny out, so I figured a Deliciously Dressed post was only fitting. 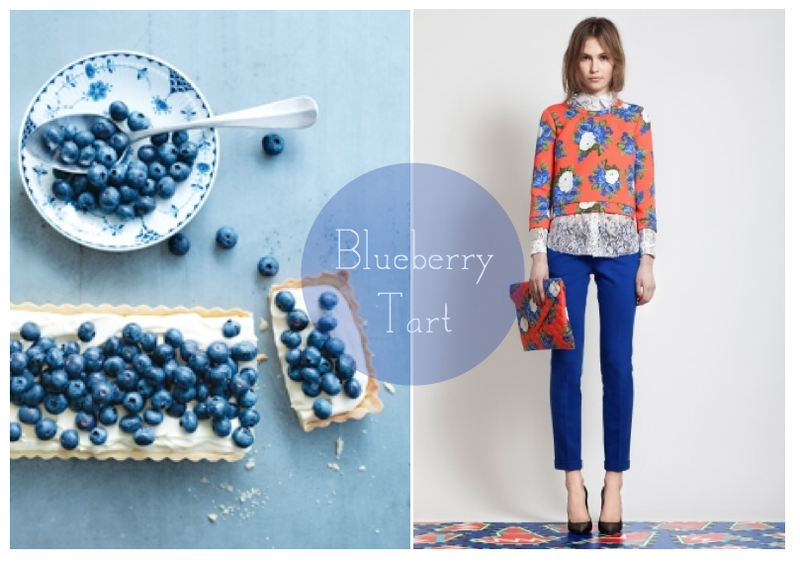 How delicious does that blueberry tart look? Oh and of course the outfit does too. Loving the orange/blue combo in the sweater.